A common theme throughout many of Maga’s diverse set of clients continues to be the desire to do more with less. Simply put, this initiative is the very basis of sustainability. Undoubtedly, motives vary greatly — from an interest in minimizing the quantity or complexity of a firms’ resources to a quest to improve the customer experience to a focus on increasing the bottom line. That said, it is becoming increasingly apparent that this desire to do more with less is also an important facet of individuals’ everyday life. Just as firms are eager to reduce their environmental footprint, enhance efficiency, or any of the previously listed motives, so too are individuals. In light of this encouraging trend, I researched a few of the popular apps that individuals are utilizing in order to leverage their resources. 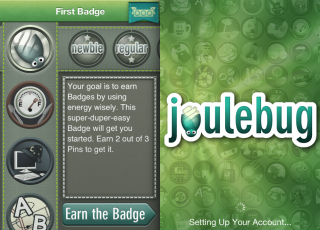 JouleBug: JouleBug is a fun application that socializes sustainable behavior in a way that allows you to compete with friends and simultaneously save money — incentivizing practices such as using reusable bags, unplugging appliances or recycling. Kilowatts: Kilowatts is one of several meter reading apps that enables users to input their household electric meter dial readings into the application and subsequently enhances the transparency of energy usage. The app encourages energy savings through allowing users to gauge savings from things like installing more efficient light bulbs or changing settings. GoodGuide: The GoodGuide is an application that can scan the barcode of over 120,000 products in order to determine whether they are safe, efficient or socially responsible — measuring information such as the product’s ingredients, energy consumption or consciousness for human rights.